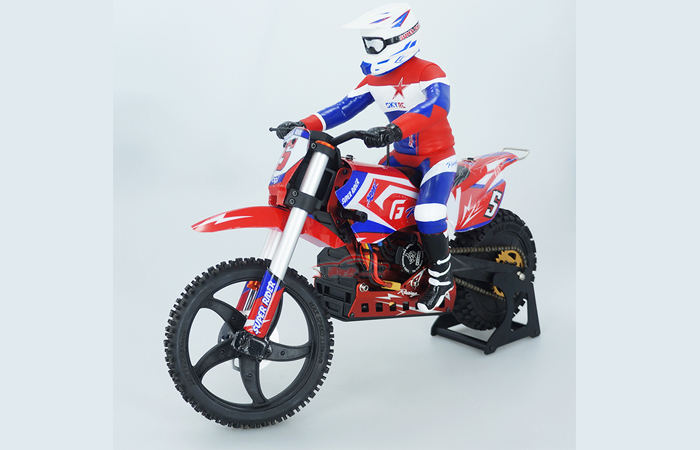 SKYRC hobby RTR SR5 1/4 Scale RC dirt motocross, Brushless Motor, 60A ESC, ESS Gyroscope, metal chassis and chain, 2.4g Radio remote control. 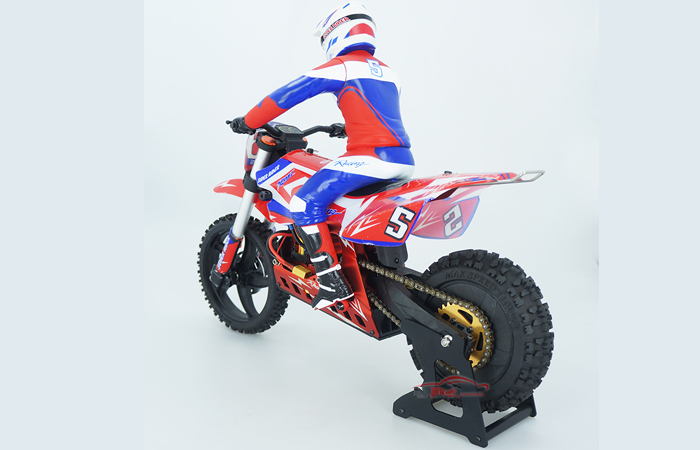 The point users concern most is the stability of the motocross. 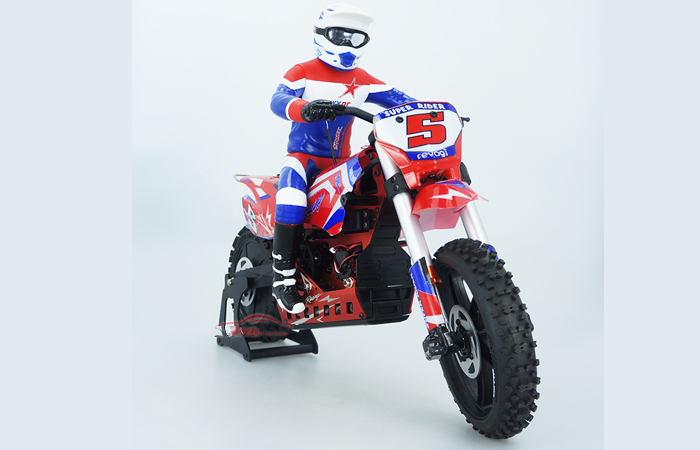 This newly-developed Super Rider SR5 features a revolutionary stability technology ESS(Electronic Stability System). 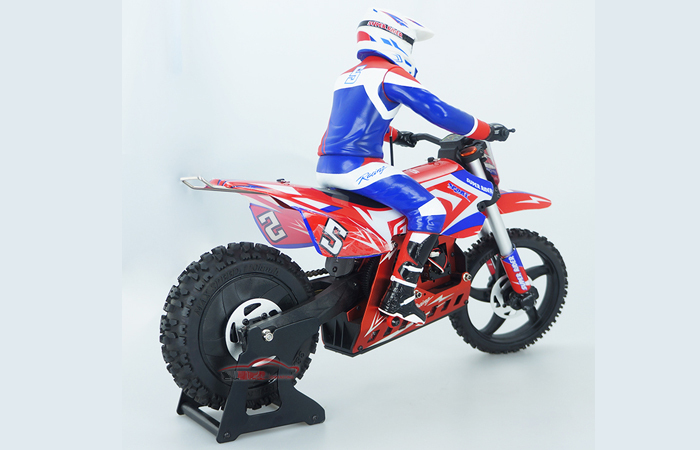 This system consists of a gyro effect governor and an electronic gyro in rear wheel which makes the bike super stable when running. 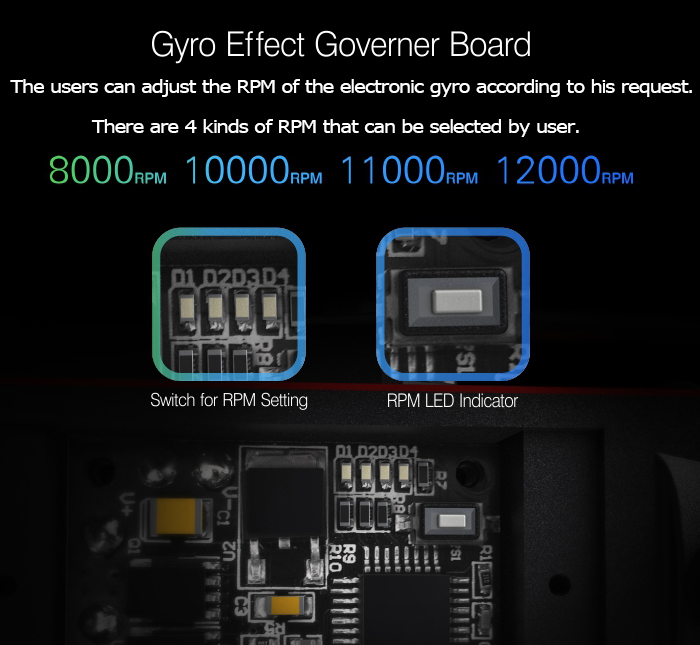 Individual RPM(Rotations Per Minute) setting on the flying wheel can be selected through Gyro Effect Governor Board. 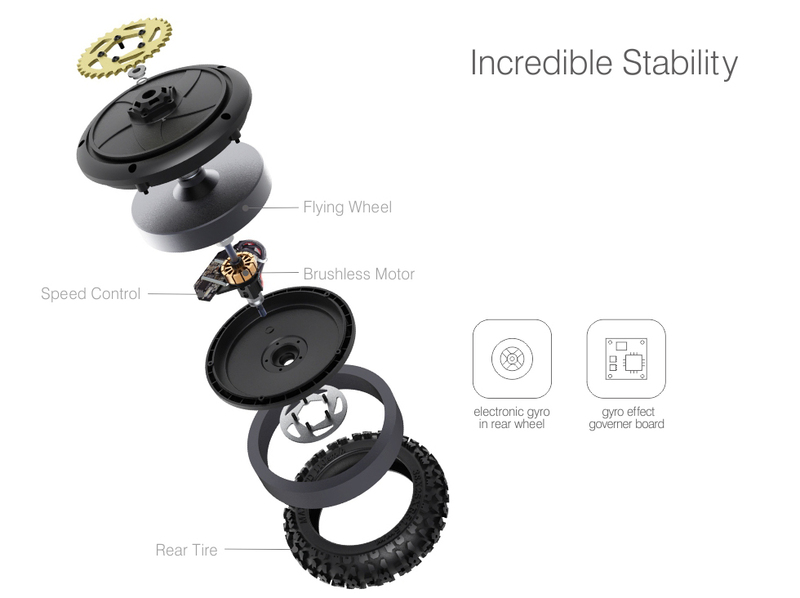 High RPM provides optimal stability but less cornering and low RPM provides more maneuverability but less stability. 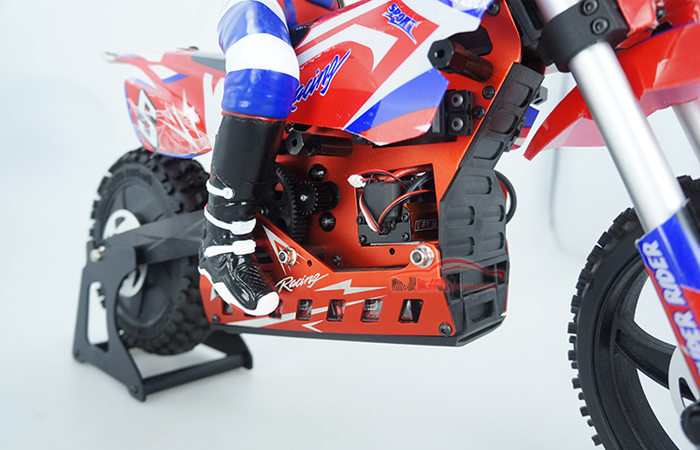 Power is everything in motocross, and the SR5 comes with Toro 540 class 3200KV Brushless Motor and Leopard 60A ESC V2. 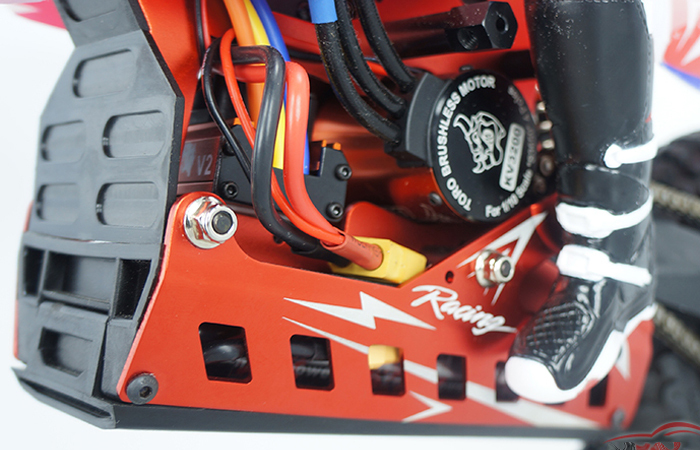 When the power system works, it will burn out monster power. 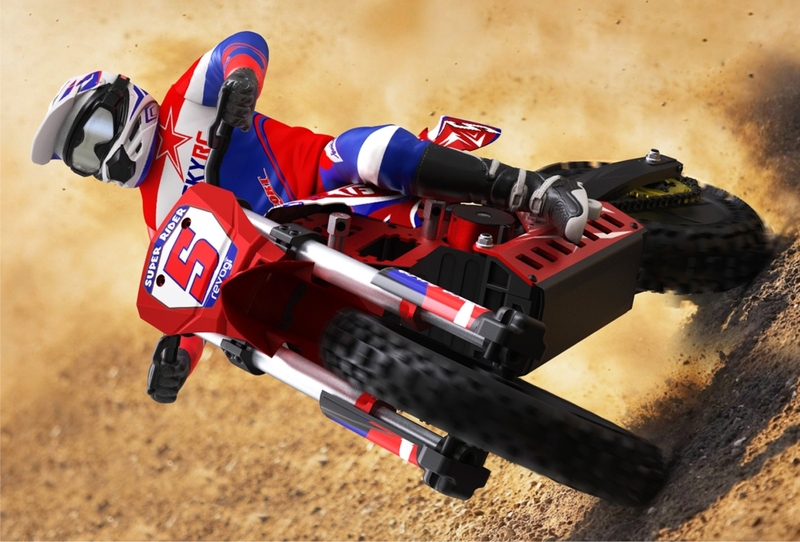 Even the motocross fall down, the monster power can make it stand up by itself. 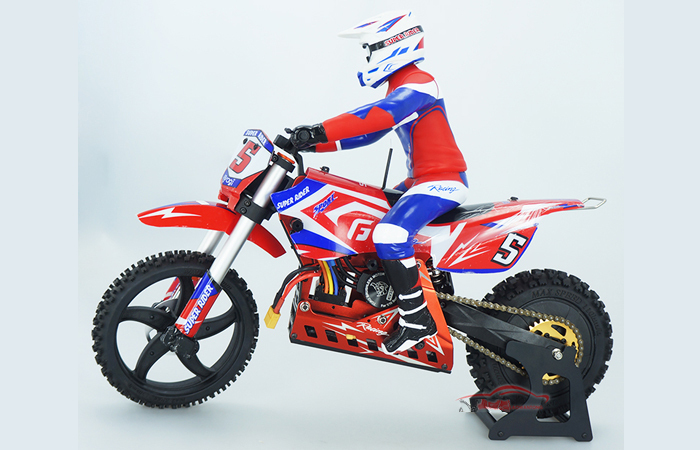 Users can run it wherever he feels like and however fast he wants. 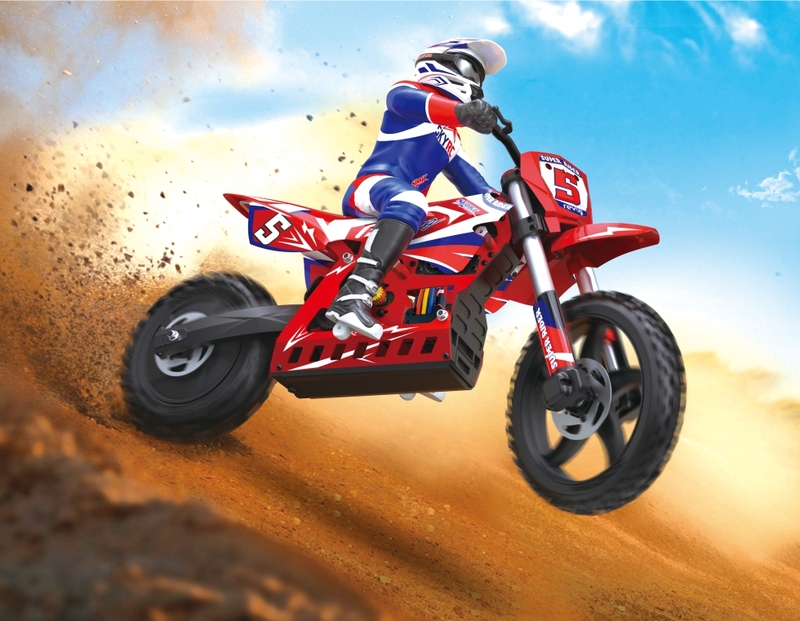 Up hills and flying over jumps or traveling on gravel and grass, dirt or pavement. 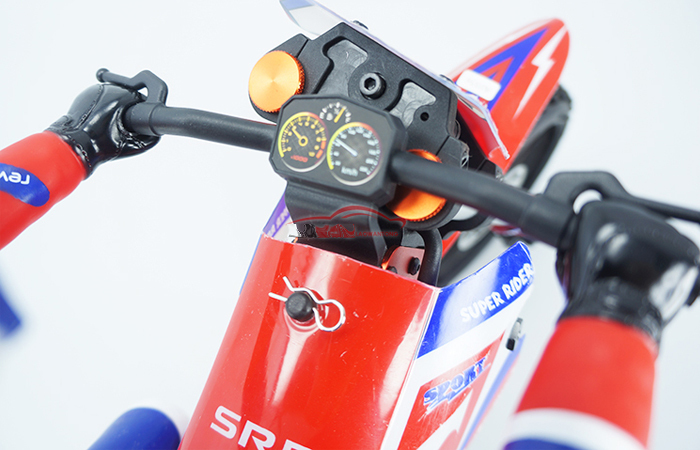 Users can scream down straight away and corner with confidence. 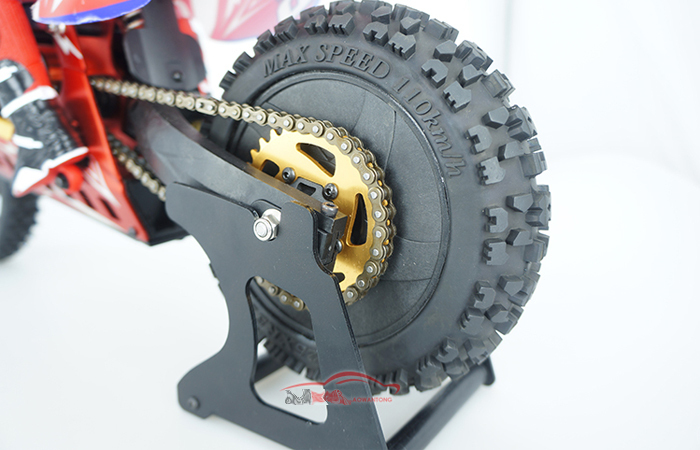 The anodized aluminum chassis and metal chain driver make the motocross strong and durable.